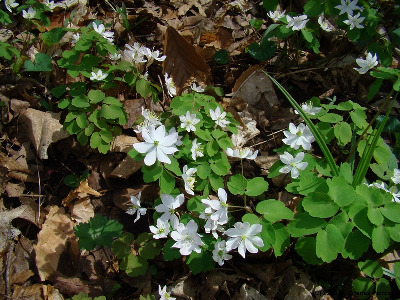 Anemonella thalictroides of Michigan Flora. Rich or sometimes dry deciduous forests. The involucre is normally composed of sessile compound leaves, the petiolules appearing to be petioles of small simple leaves. Double-flowered and pink-flowered forms are known. A Farwell collection (BLH), purported to be from Keweenaw Co. (and collected July 10!) is surely the result of a label mix-up and is not mapped. MICHIGAN FLORA ONLINE. A. A. Reznicek, E. G. Voss, & B. S. Walters. February 2011. University of Michigan. Web. 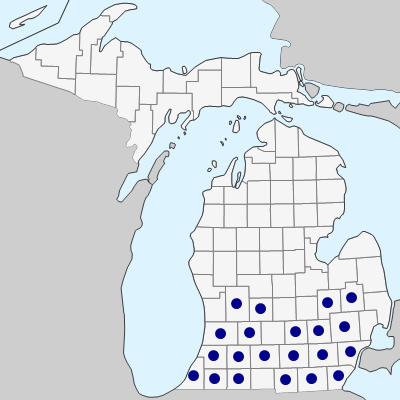 April 21, 2019. https://michiganflora.net/species.aspx?id=2405.